The letting market in North & North West London remains in excellent health. The demand for all types and size of property throughout 2014 and shows no signs of diminishing as we move into 2015. We put this demand down to a number of factors - such as first-time buyers struggling to get on the property ladder& uncertainty around the economy - each fueling increased demand for rental properties. For many buying a property to generate regular income and as a long-term investment has become a popular option. Total new Buy to Let lending in 2014 was approx. £25 billion, a 20% increase on 2013. Many new mortgage products are now available as lenders regain their appetite and confidence for this sector of the market. If you are thinking about this type of investment, Martyn Gerrard are on hand to help with practical advice to guide you through all aspects of becoming a Buy to Let landlord. Here are some of the basic issues you need to consider before you start looking for a property to buy. Consider all the costs involved, not just the purchase price. There are running and ongoing costs such as insurance, property maintenance, service charges, fees and tax obligations. Tax is payable on the profit made from a letting and there are many deductions that can be made to offset the tax liability, so make sure you take proper professional advice. You should also remember there may be void periods – where the property is empty between tenants – where you won’t be receiving any rent. If you use an experienced letting agent these void periods will be minimized. Check what kind of property is in demand and the actual rental prices being achieved (rather than just looking at the asking prices, which some agencies may inflate to gain an instruction) in the area you are looking in. Ensure that there is interest from potential tenants for the type and size of property you are thinking of buying. There is a significant amount of regulation that a Landlord must comply with, such as the Electrical Equipment (Safety) Regulations 1994, the Furniture & Furnishings (Fire) (Safety) (Amendment) Regulations 1993 and tenants deposit protection legislation to name but a few. The legal requirements can be a minefield for an unwary landlord. However, if you use the services of a “Licensed Agent” member of ARLA Property Mark Protected, such as Martyn Gerrard, they can easily guide you and make sure you and your property fully comply. One of the most important things to remember is that you should look on Buy-to-Let as a business. Don't make the mistake of decorating and furnishing the property to your own tastes - keep it simple. You are there to make money out of the property, so keep your target market in mind. This also applies to furnishing. Many tenants have their own furniture and just require the basics, i.e. washing machine, cooker, fridge/freezer etc. So don’t fill your property with too much furniture as it can seriously affect the number of tenants you are likely to attract. 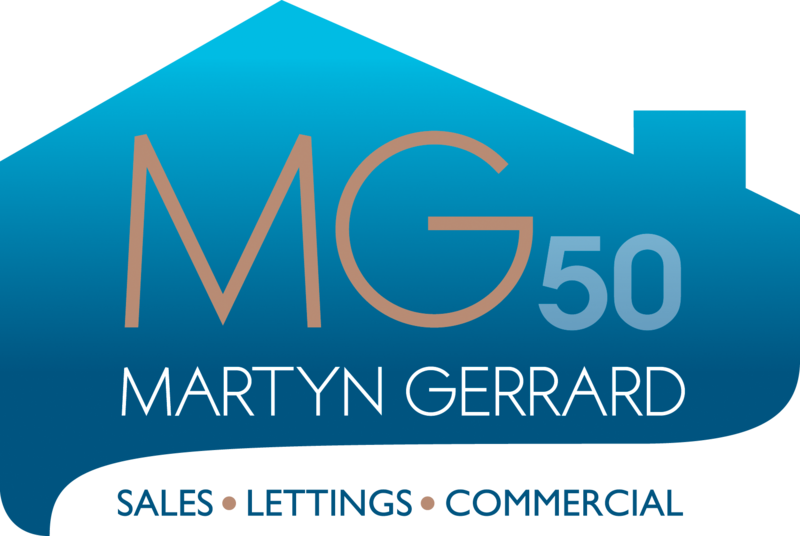 At Martyn Gerrard Estate Agents we have experts on hand who can help you every step of the way. We will be happy to explain the pros and cons of your local lettings markets and help you find the right property for your needs to help you to maximise the return on your investment.